My mother never fails to awe me. 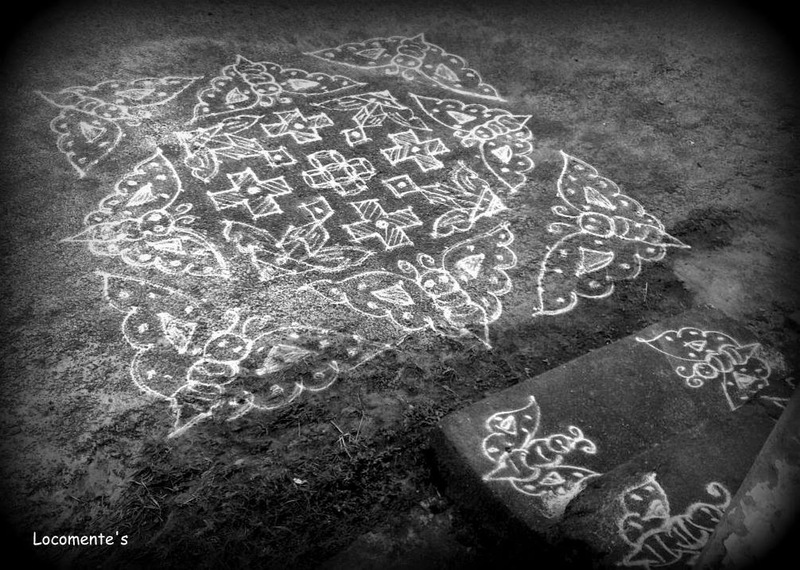 This Kolam is one of the many reasons. Ammaji, I feel jealous of you. I found this blog quite interesting and concern in the blog is really impressive you guys really doing the good job by updating this kinds of post really impressed..!! So this is same as Rangoli right? I am not very good at it as well, but every Diwali I make it a point to try something new everyday. That’s very beautiful kolam and also looks intricate to draw! My mom also draws kolam everyday in front of the home and big and colorful ones during festival times. I love looking at Kolam designs. Always amazed by the precision of hand. Beautiful work.